The 4th quarter has ended and there is victory in the end zone. This year’s best tailgate award goes to (drum roll please), the Dodge Ram 1500! Tailgate season is upon us and if you are going to be dropping your gates for entertainment, you will definitely set the standard as you lower the tailgate of your Dodge Ram 1500. The Ram is packed with features that set the tailgate ahead of all the others in its class. The fierce look and durability it possesses makes it a strong contender against almost any other truck on the market in regards to tailgating. 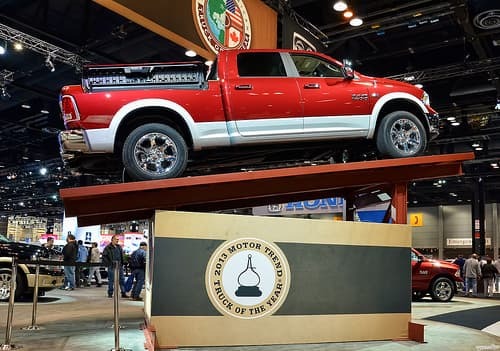 One of the greatest features that roar above all other features is the air suspension that enables the truck to level the load and lower the bed for easy access by those tailgating. Maximum clearance of the ground is provided with the option to select from two positions. The containers along the side of the truck bed are EPIC!! Tailgating is never complete without coolers. The Ram 1500 assures that you will never forget to load your cooler because it moves right along with you. These are huge, easily secured lock boxes that are waterproof and capable of handling your tailgate cooling needs. Tie down cleats are another great feature available on the Ram 1500 and bed dividers are an added convenience. Durability, the ability to withstand heavy loading, dragging and pulling of equipment used for the tailgate party are all features of the Ram 1500 tailgate. 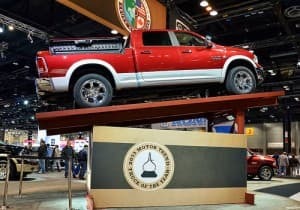 Needless to say that Chrysler pulled out all of the stops with this year’s tailgate on the Ram 1500. They zeroed in on all things of convenience for your next big tailgate. They definitely narrowed the gap by featuring the option of UConnect WiFi through the network of a private internet provider. This WiFi connection is accessible in a distance of up to 150 ft of the truck. The ability to access your favorite sporting event is now less than 150 ft away from your tailgating headquarters. Tailgating is always a blast and the best way to end it is with comfort. The auto lock feature of the tailgate gives the assurance that all equipment is stored safely and without fear of the gate possibly being unlocked. Locking the tailgate can be conveniently done from the key remote as soon as the party has ended and all is securely loaded onto the truck bed.